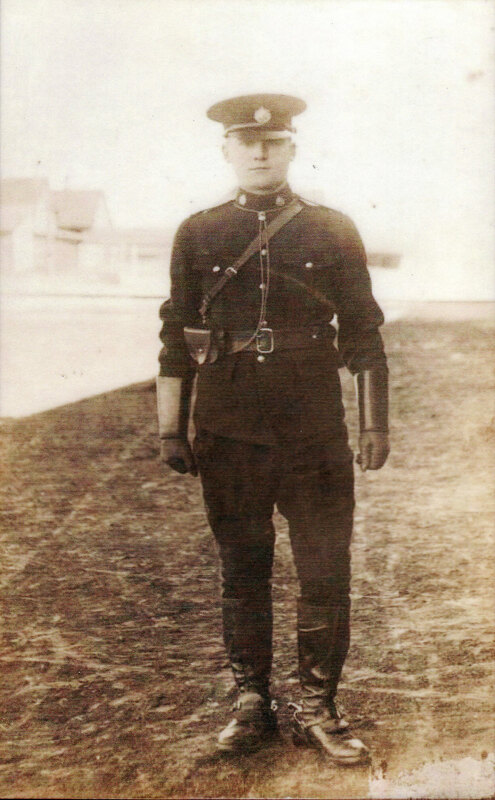 Henry was born 12 September 1891* in Longford, and later emigrated to Canada with his brother where he joined the Royal North West Mounted Police (RNWMP), c. July 1910. Henry enlisted in Calgary, Alberta on 28 May 1915, initially serving with the 39th Overseas Battery. He left for England for overseas service in February, and then onto France on the 13 July 1916. He joined Lord Strathcona's Horse near the end of August 1916; he was briefly posted with the French Mortar Battery in early 1918. In 1918 Henry undertook a number of courses, likely to secure promotion through the ranks, and was made Corporal in April 1918. Henry was mentioned in dispatches and awarded the Military Medal (M.M.) for bravery in the field on 14 September 1918. Sadly, he was killed in action four weeks later and was awarded the bar to the Military Medal, posthumously 28 December 1918. 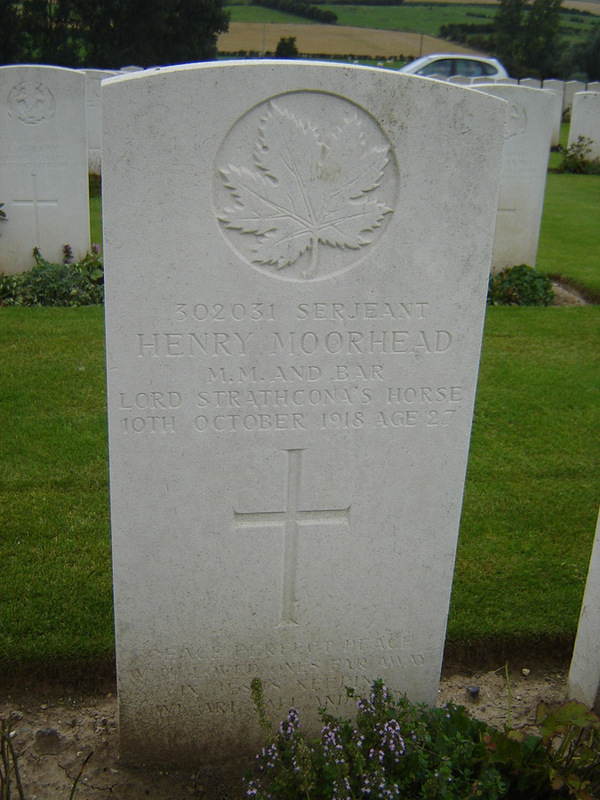 At the time of his death, Henry was a Corporal, but an Acting Serjeant from early August 1918. Henry's brother Alfred served with the British Army in WW1 while their other brothers George, William, Alexander also served with the Canadians; Alexander died of illness in 1920. Son of William George and Emily Harriett Moorhead of Demense, Longford. *Henry gave the 11 November 1892 as his birth date on his attestment.